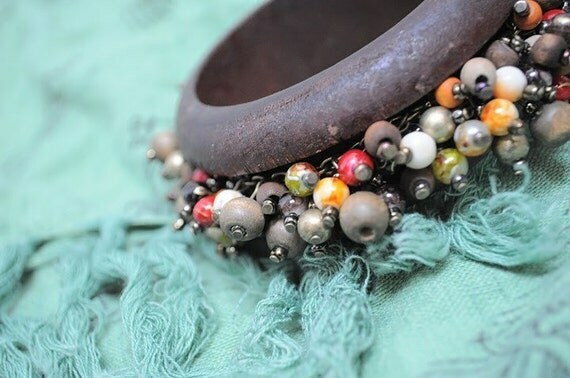 Now on sale in the shop, this vintage wooden bangle wrapped with colorful beads. Was $10.50…now $8.50. ALSO, use coupon code FRUGAL for 15% off anything else in the shop at checkout. Happy post-holiday shopping! This entry was posted in Etsy and tagged bracelet, etsy, frugal, jewelry, sale, shopping, vintage. Bookmark the permalink.